Lameness ia an issue of great concern for farmers and veterinary practitioners around the world. It affects both dairy and beef cattle farmers and is one of the main causes for culling animals. The interst in achieving good hoof health in cattle herds is not only due to the negative consequences of lameness on the farm´s productivity and profitability, but also to social pressure as a result on animal welfare legislations. 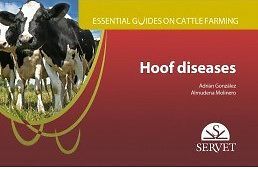 The main objective of this book is not to proide a specific view on hoof care, but to address the topic from a global point of view by gahering all the collaborators´s experiences. The authors, who are expert in this field, have written an instructive and visual book, wich will show readers how to analyse the most important characteristics of lameness and the main measures for its control and omptimal prevention.